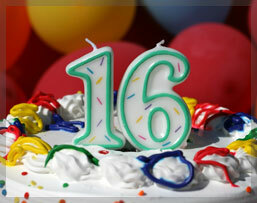 Daughter's Sweet Sixteen birthday is a special celebration; glorifying the journey from childhood into young adulthood. It is an occasion to create lasting memories to be long cherished. Our talented chefs add delicious imagination to your event planning and will craft a menu to perfectly match your party's theme. At Ember Banquets, we are honored to host this very special occasion and look forward to fulfilling every expectation of you and your daughter, ensuring that her Sweet Sixteen is an outstanding success.